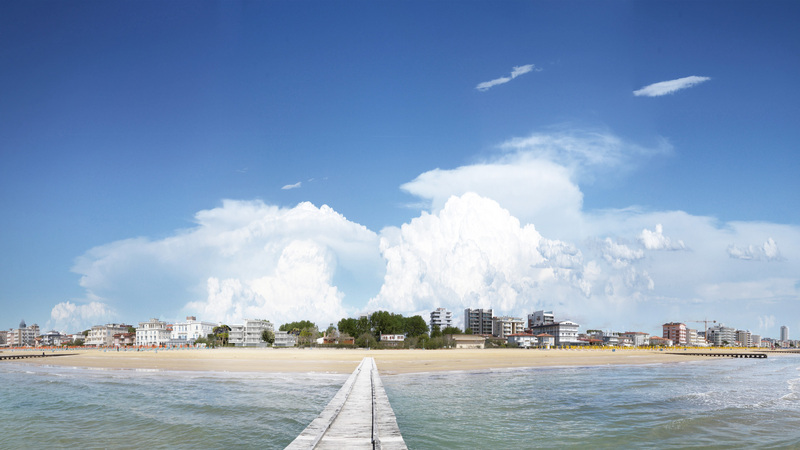 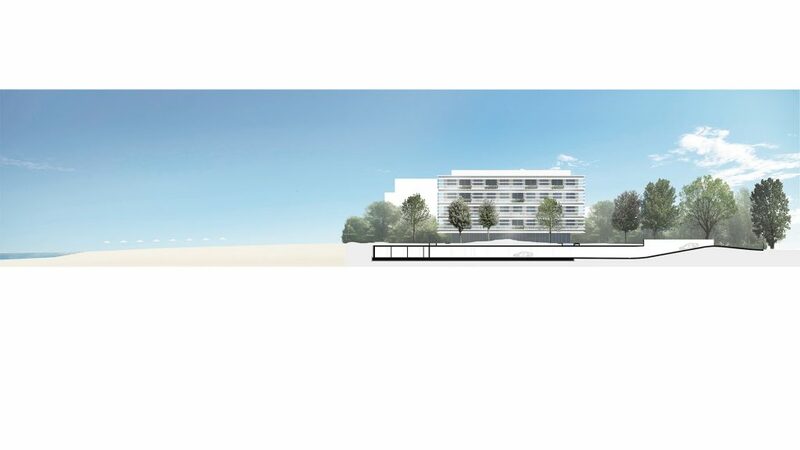 The operation consists in the renovation and expansion of an existing villa a few meters from the beaches of Jesolo.The project involves the demolition of the existing building and the construction of a multi-storey building with 5 levels above ground plus the basement. 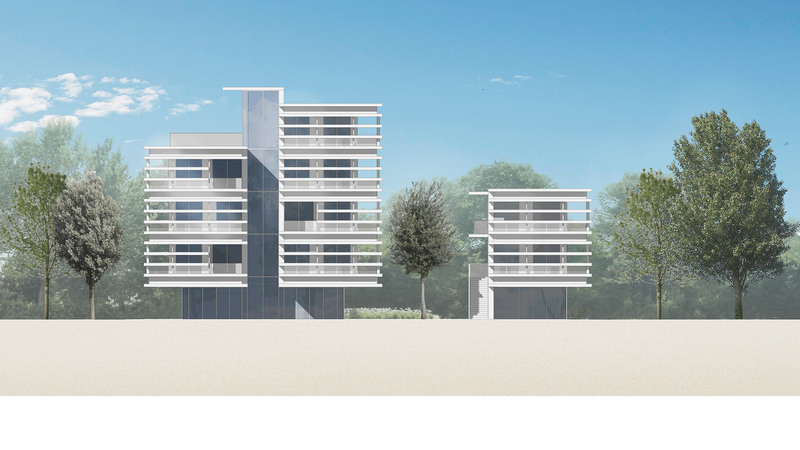 The residential building will have 22 new apartments, simplex and duplex, with a parking space and a cellar for each apartment. 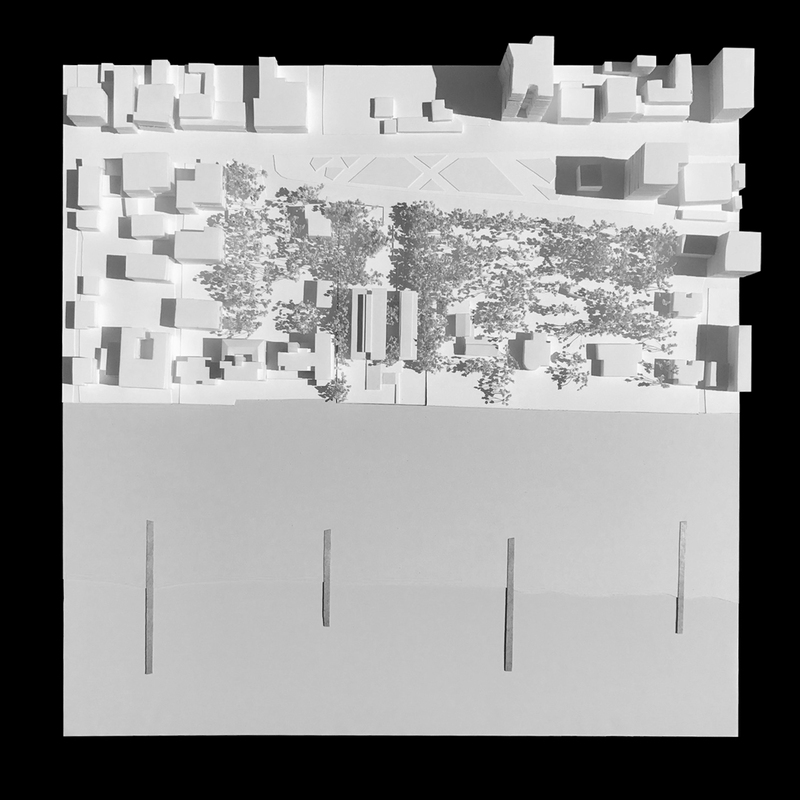 The green areas, in compliance with the municipal protection bond for the outdoor areas, will be rationalized, also reducing the waterproof surface in comparison to the pre-existing building. 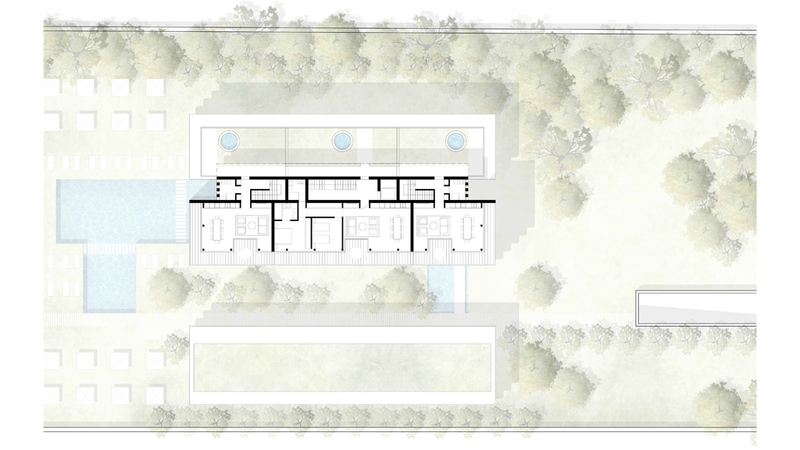 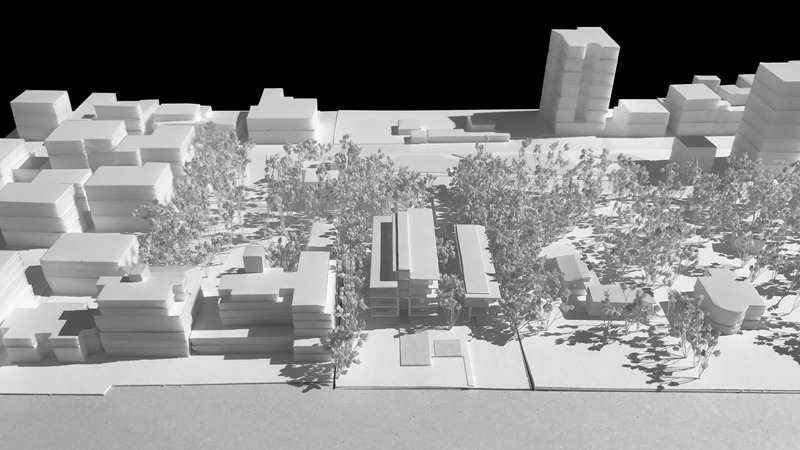 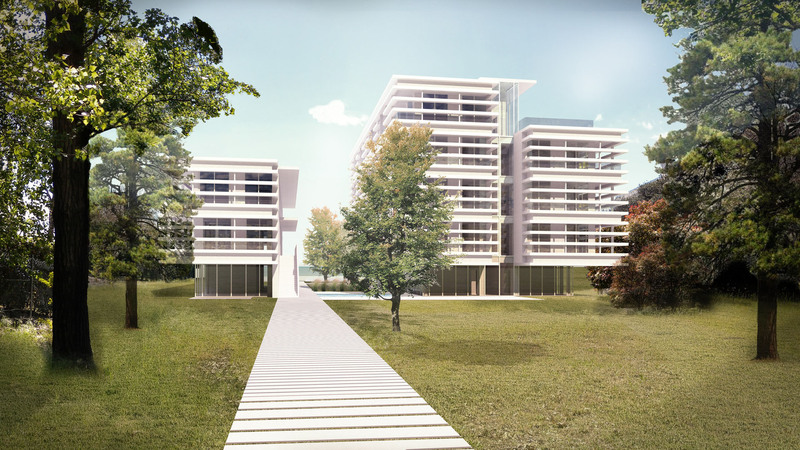 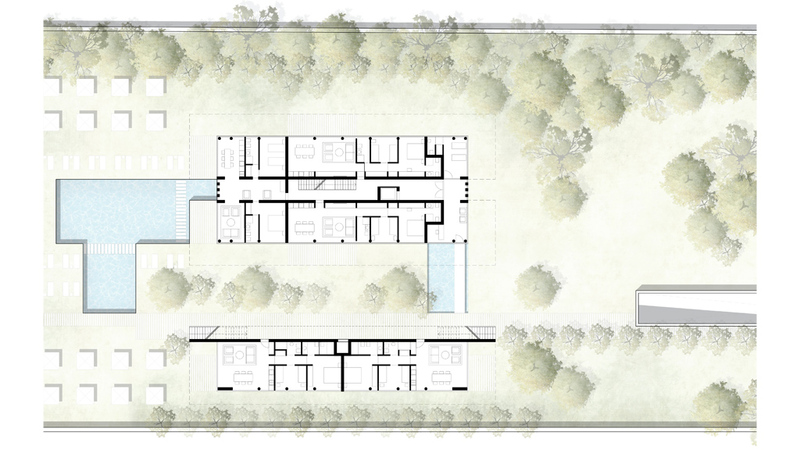 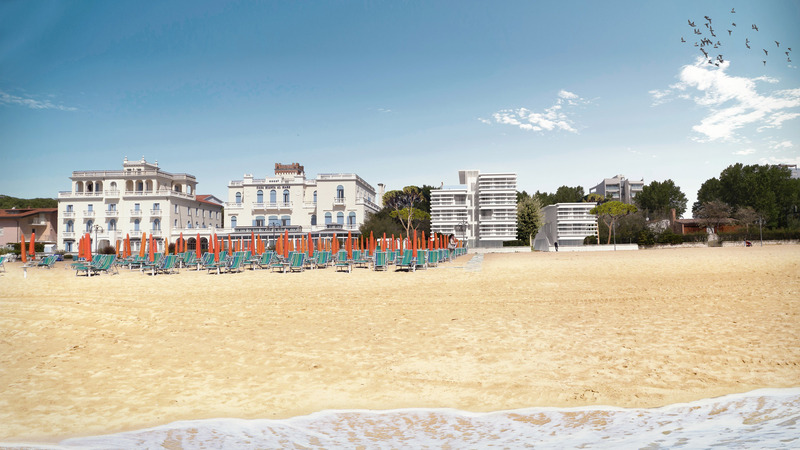 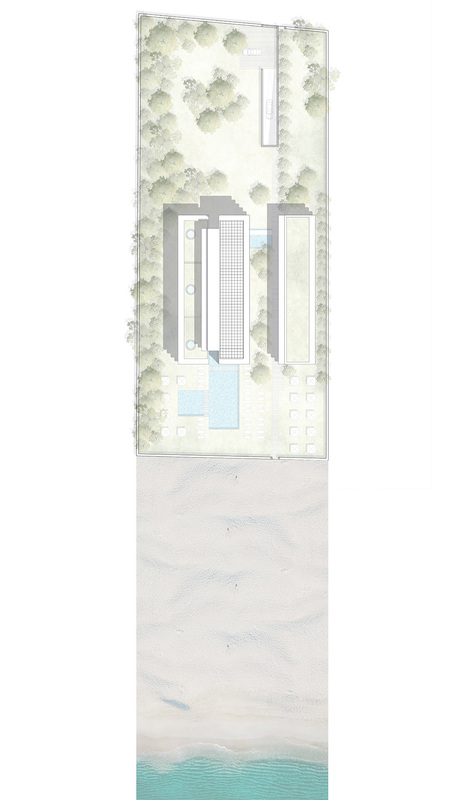 The project consists of a single body composed of a common basement compartment from which two distinct buildings emerge.The highest, placed to the west and articulated in different heights, relates to the buildings of the Hotel Casa Bianca Hotel.The lowest, placed to the east, is related to the nearby villa Falck by the architect Daniele Calabi, and therefore has a moderate height development.Between the two buildings there is a green tree-lined path that visually connects the facing street to the beach. 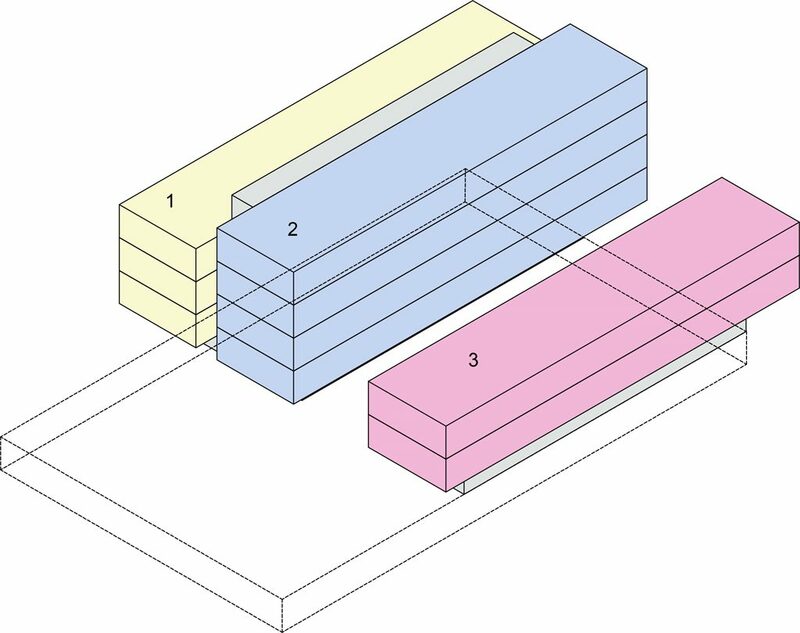 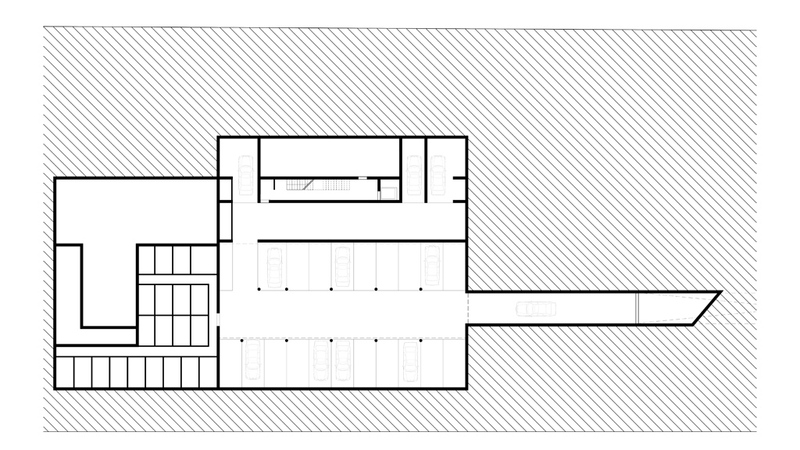 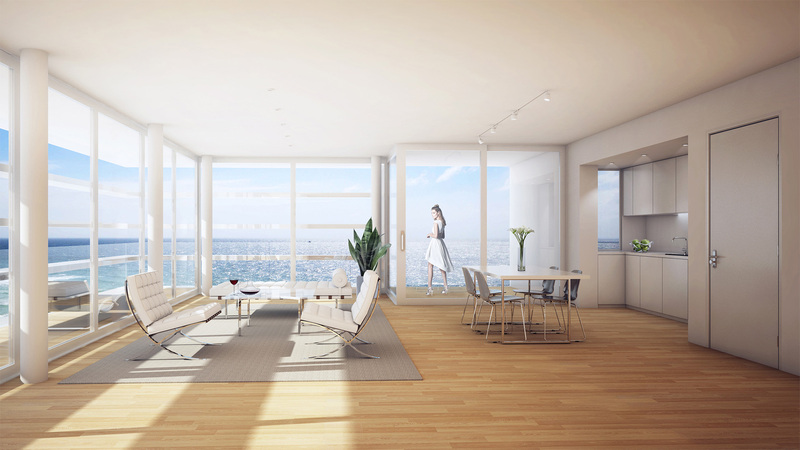 In terms of composition, the project can be read either horizontally or vertically: Horizontally, the basement of both buildings is glazed and has the function of “visually raising” the overlying, jutted bodies, thus preserving the permeability of the uncovered area.In a vertical direction the volume is divided into three elements distinguished by different heights, all resting on the glazed basement and belonging to the common basement: a 3-storey building to the west, one 4 storey in the center and one 2 storey in the east. 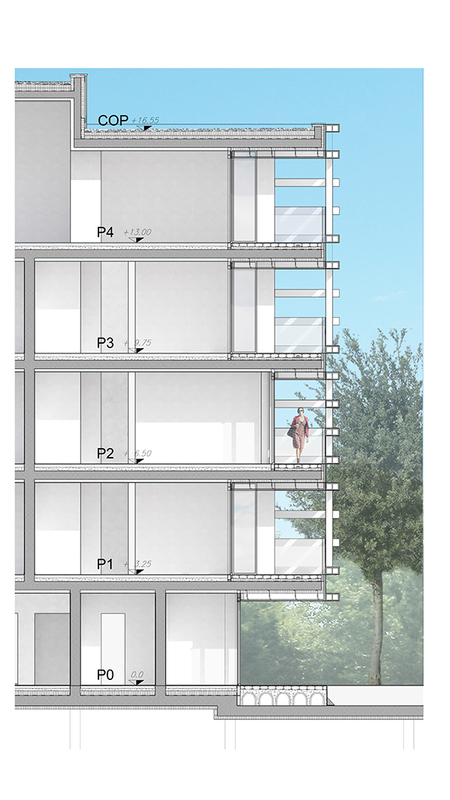 The first two rest on the same base sforming a unitary entity and are connected to each other with a glazed element that encloses vertical ascent and horizontal distribution systems. 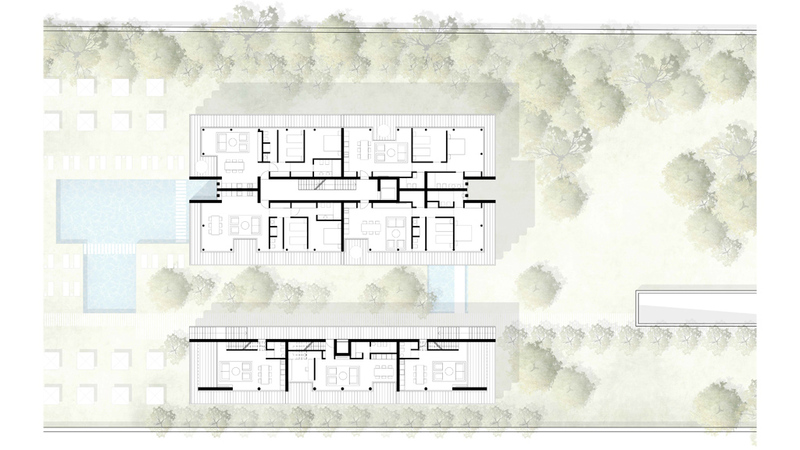 The third building is autonomous, both in form and organization, but always connected to the other two volumes by the common basement, so as to configure the project as a unitary ensemble.